We looked at the top 11 Wi-Fi Extenders and dug through the reviews from 62 of the most popular review sites including New York Times Wirecutter, Digital Citizen, PC Magazine, PC World - UK, BestReviews, Not Enough Tech and more. The result is a ranking of the best Wi-Fi Extenders. If you have a larger home, multiple “dead” spots in your house or your router is more than a few years old, we suggest that you also look at mesh router reviews. Mesh routers are the latest generation of routers that can significantly improve coverage and speed. Our experts reviewed the top 11 Wi-Fi Extenders and also dug through the reviews from 62 of the most popular review sites including New York Times Wirecutter, Digital Citizen, PC Magazine, PC World - UK, BestReviews, Not Enough Tech and more. The result is a ranking of the best of the best Wi-Fi Extenders. For its low price, you can't beat this Wi-Fi extender, which provides speeds of up to 750 Mbps. It also features an ethernet port, allowing you to connect devices like a video game console or Smart TV. You'll also get an app to help you easily change passwords and manage your setup. DWYM Electronics Experts plus PC Magazine, New York Times Wirecutter, PC World – UK. Along with user reviews from Best Buy.
" Reasonably priced. Easy to install. Lots of management features. Good 5GHz performance in testing." The biggest issue with the Powerline is compatibility. Very few homes can support this specialized type of networking. However, for those who have the compatibility, the PowerLine provides an unprecedented level of speed and reduces the amount of interference other devices have on the network. DWYM Electronics Experts plus New York Times Wirecutter, Digital Citizen. Along with user reviews from Amazon, Best Buy and Walmart.
" A powerline access point like the TL-WPA8630P can extend your Wi-Fi network further than a pure Wi-Fi extender can, and without competing so much with your existing devices—if your home’s electrical wiring cooperates." "The user interface is available only in English. The speed of the Ethernet connection offered by TP-LINK TL-WPA8630P is slower than that of competing devices. It's expensive"
The Netgear N300 Wi-Fi extender features slightly slower speeds at a price that isn't quite as cheap. However, it does include LED indicators that help you identify the perfect place in your home to place it. An ethernet port also means you can connect devices like video gaming consoles, easily adding them to your network. DWYM Electronics Experts plus Tech Radar, BestReviews and 1 more. Along with user reviews from Product Review, Amazon, Best Buy, Walmart and Target.
" Setting it up is very easy - we just plugged it into a wall socket and used WPS (Wi-Fi Protected Setup) to connect our test router to the extender by just clicking the WPS button on each." If you're looking for a small, sleek Wi-Fi extender, the D-Link DAP is a great choice. It's not only the smallest of the extenders, but it's also easy to set up and use. If you're looking for an extender that allows you to connect a smart TV or gaming console to your network, though, this option doesn't include that feature. DWYM Electronics Experts plus BestReviews, PC Magazine. Along with user reviews from Amazon.
" Easy to set up and use; effective way to to extend range without adding wires to your network." "Light on features. No wired bridging." We identified the majority of the wi-fi extenders available to purchase. 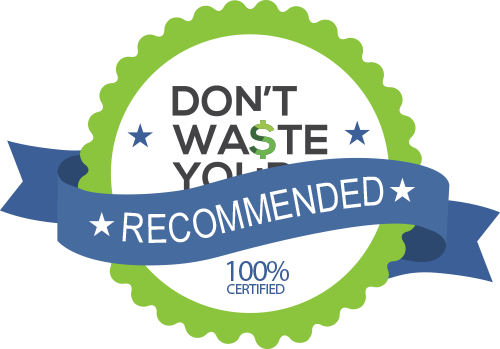 Reviews from our DWYM category experts and analysis of some of the most respected sources including: New York Times Wirecutter, Digital Citizen, PC Magazine, PC World - UK, BestReviews. We also incorporate user reviews from the leading retailers including Amazon, Best Buy, Walmart, Product Review, Home Depot, Target. Reasonably priced. Easy to install. Lots of management features. Good 5GHz performance in testing. TP-Link’s RE-200 (AC 750) is a much better performer than its modest cost would lead you to expect. It was the only pure Wi-Fi extender we tested that never decreased the quality of the connection in any test. No pass-through outlet. Lacks USB ports. Middling 2.4GHz range. Chances are your household relies heavily on a Wi-Fi network. Whether it’s doing homework or streaming the latest Netflix show everyone’s watching, a high-speed network is key. If your network is too slow, you could find that your shows constantly lock up or downloads take far too long. Upping your network speed isn’t the solution. You’ll likely still have the same problem, especially if you have areas of your house that are far away from your router. The easiest fix is a Wi-Fi extender, available online or at your local electronics store. For a fairly low price, you can buy one of these devices, plug it in and, in a matter of minutes, extend your router’s reach to those “dead zones” in your home. But buying a Wi-Fi router can feel intimidating at first. You may fear that setup will be complicated, but with most of today’s extenders, installation is actually fairly easy. You just plug it in and follow the directions to connect it to your home’s router. The first step is finding the best area of your home for the extender. The goal is to extend the reach of the Wi-Fi signal being sent by your router, so you’ll be moving it to an area of your house where connectivity is poorest due to being too far away. When shopping for a router, pay close attention to frequency. Many extenders use two frequencies: 2.4 GHz and 5 GHz. You’ll see speed ratings that represent the theoretical maximum speed of the router you’re purchasing. The TP-Link AC750 advertises dual-band speeds of up to 750 Mbps. The Netgear N300, on the other hand, advertises speeds of only up to 300 Mbps. Other factors, such as the size of the ethernet and compatibility with other devices, should also factor into your buying decision. In addition to purchasing Wi-Fi extenders, there are things you can do to optimize your Wi-Fi range in your home. Mostly, this entails finding the perfect place to locate your router. You may think a central room is the best area, but there are other factors that can interfere with your signal. Although most walls, doors and furniture won’t get in the way of your signal, it will have a tough time getting through metal or concrete. Chimneys can also cause interference. You should try to avoid locating your router near devices that emit wireless signals. Motors, microwaves and wireless telephones can also cause issues, mimicking the signals a Wi-Fi router sends and creating interference. Wi-Fi extenders can seem intimidating if you don’t see yourself as tech-savvy. The good news is, most extenders on the market today are easy to set up. You simply plug it into an outlet in the desired area and follow the instructions to connect. Once you get your extender set up, you’ll need an easy way to manage it. The TP-Link AC750 lets you control your device using an app. Here, you can create passwords, check your connections and more. Determining exactly where to put your Wi-Fi extender can be challenging. The Netgear N300 includes smart LED indicators that identify the best location in an area for optimizing your Wi-Fi reach. Locating can be tricky, especially with the Netgear N300, which requires that you plug it in at the halfway point between your router and the area of your home where reception is low. Another issue with some routers, including the Netgear N300, is that you may need to restart it frequently when you find it’s gone offline. Wi-Fi extenders operate by using specific frequencies. The TP-Link AC750 and TP-Link HomePlug Powerline and D-Link DAP-1520 extenders all operate on two bands: 2.4 GHz and 5 GHz, offering fast performance on both. The Netgear N300 extender only utilizes one 2.4 GHz band. Some Wi-Fi extenders let you hook up items like Smart TVs and Xbox game consoles to your Wi-Fi network through an ethernet port. If you’re interested in using this feature, go with a model that has it. The TP-Link AC750, TP-Link HomePlug Powerline and Netgear N300 all have ethernet ports. Over time, you may decide just one Wi-Fi extender isn’t enough. The TP-Link AC750 is compatible with a wide range of adapters, which means you’ll be able to expand your network even further by adding more routers. If you plan to add routers in the future, though, the TP-Link HomePlug Powerline makes it easy to do so. It comes with a Wi-Fi Clone button that copies your router’s network name and password. One press of the button automatically syncs one extender with all the other extenders on your network. A Wi-Fi extender is designed to be planted in a wall outlet, where it stays. The D-Link is by far the smallest of all the extenders, measuring 2.25 x 1.4 x 3.6 inches. The antennas are internal on this model, which provides for a more compact look. Speeding up your network is great, but you’ll also want to make sure you keep your data safe. The TP-Link HomePlug Powerline features 128-bit AES encryption, while the D-Link DAP has WPA2/WPA wireless encryption. You’ll get exceptional speed with a Powerline adapter like the TP-Link HomePlug, but it’s important to do some research before you make that commitment. Powerline networks are set up to operate with hidden wires, and many of today’s homes simply aren’t set up to work with Powerline devices. If your home’s wiring is compatible, though, a Powerline access point can extend your home’s Wi-Fi network farther than other devices. You also will find a Powerline doesn’t compete with the other devices in your home as much as other Wi-Fi extenders. Compatibility isn’t the only concern with the TP-Link HomePlug Powerline. At a price point far more expensive than the others, topping $100, it may be out of range for many consumers. This is especially relevant when considering that the TP-Link AC750, Netgear N300 and D-Link DAP are all available for under $50, with the TP-Link and D-Link both selling for under $30. If you have older hardware, you may find compatibility is an issue with the Netgear N300. For the Wi-Fi Extender category, we analyzed 62 of the most popular reviews including reviews from New York Times Wirecutter, Digital Citizen, PC Magazine, PC World - UK, BestReviews, Not Enough Tech and more. The result is a ranking of the best Wi-Fi Extenders.